Welcome to ABC Express, Inc. a Christian based preschool! Established in 1985 by Cathy Burley and Joanie Keis, we are pleased to celebrate the lives and learning styles of your children! ABC Express, Inc. offers a pre-school experience for children from 16 months until Kindergarten. Our program is dedicated to developing a child’s natural creativity, curiosity and sense of wonder. 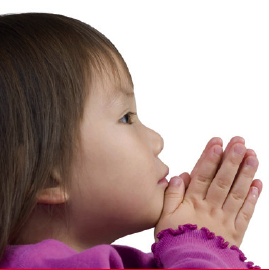 We also introduce children to our Christian values and the importance of our Faith. Our goal is to foster in each child a strong sense of self-worth, an introduction to the Christian faith and a positive attitude towards school. Philosophy – ABC Express, Inc. was established in 1985 to provide quality care for young children. We want to provide both a Christian program where the children receive both an intellectual challenge and a secure emotional atmosphere. Our goal is to allow children to explore their surroundings with their peers. As trained adults, we will provide an atmosphere where a child can grow and establish a positive self concept.